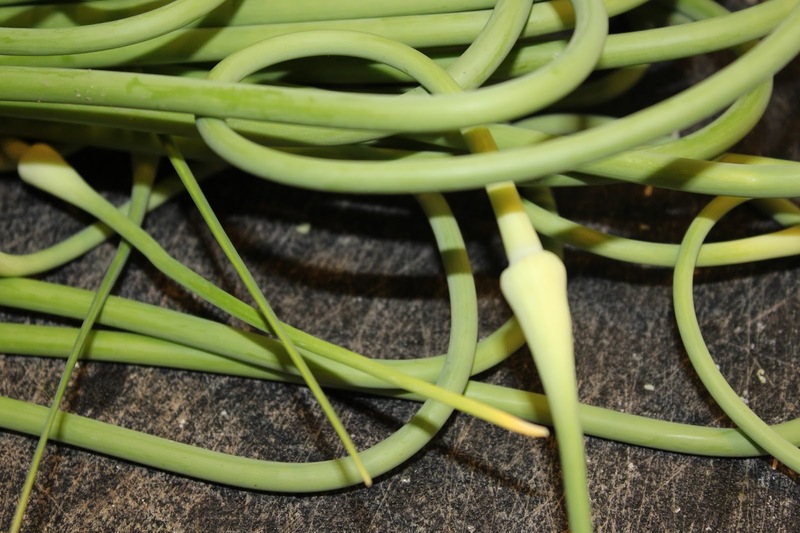 Have you ever harvested/eaten garlic scapes? This was our first year planting garlic so our first year harvesting scapes. I made three batches of pesto, but still had lots of scapes left over so I decided to try some pickles too. I mean, what they heck!? 1. Prepare jars, lids, rings, and hot water canner. 2. In a small saucepan, heat the water, vinegar, and salt until the salt is dissolved. Set aside. 3. 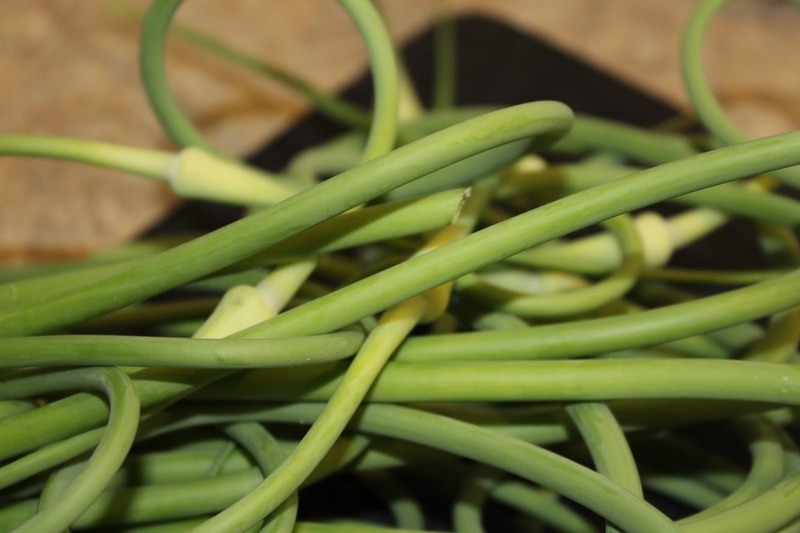 Cut the scapes to fit into your jars and fill/stuff the jars with as many scapes as you can fit - be sure to leave enough space at the top for the lid. 4. Once your jar(s) are filled, add in any additional ingredients and fill the jar with the brine, leaving 1/2 inch headspace at the top of the jar. 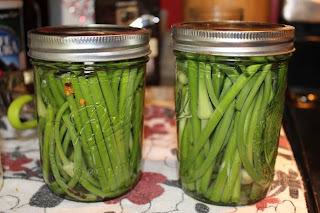 Place the lid and screw the ring on to the jars and place in the hot water canner. Place a lid on the canner and, once the water has reached a full boil, process for 25 minutes. Remove the jars and allow to cool and once the jars are sealed and at room temperature, remove the rings, label, and store.